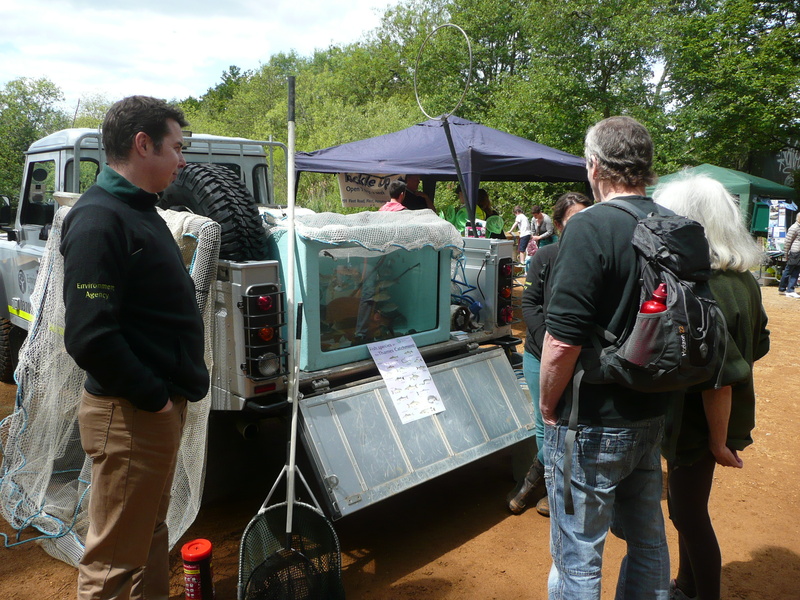 “Last year on 14th September, Wild Oxfordshire, the Freshwater Habitats Trust and Thames Water, amongst others launched what was probably the first ‘WaterBlitz’ across the River Thames catchment. The intention was to collect as many nitrate and phosphate measurements within a 24 hour period with the help of citizen scientists. 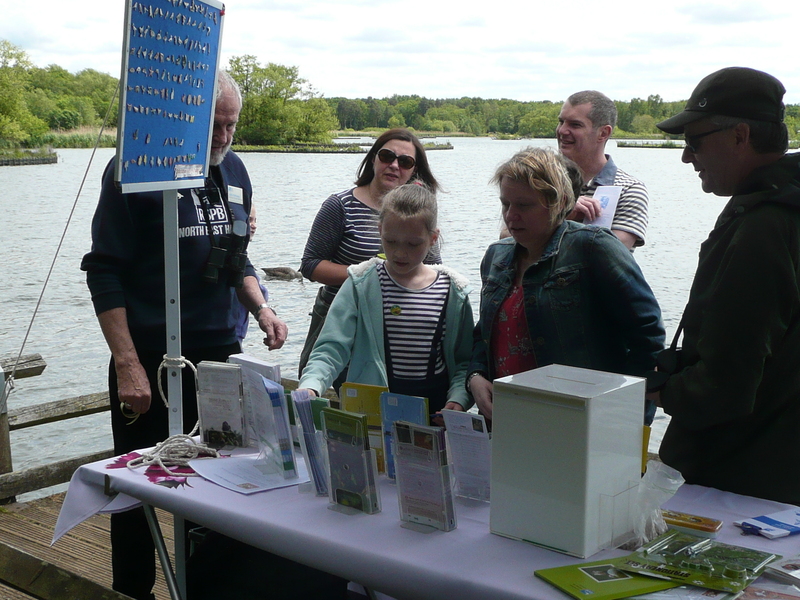 In all, 645 measurements were sampled by individual members of the public, school and community groups and experts alike! In keeping with citizen science this was far more than any single scientist or team of scientists could collect in a day. Find out more about the data through the FreshWater Watch Water Hub. 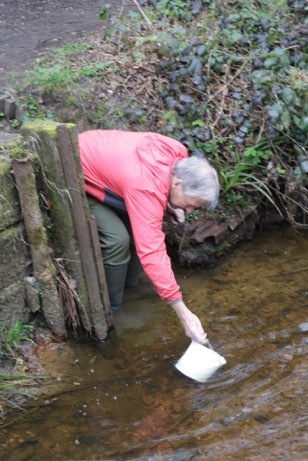 The benefit of collecting this amount of data within a 24 hour period is that you get a temporally comparable result whether you are on a small tributary of the Lea or on the Thames at Lechlade. At the same time, water quality differences between sites are less likely to represent seasonal or climatic changes that occur throughout the year. Importantly, they are more likely to highlight underlying issues such as pollution sources. 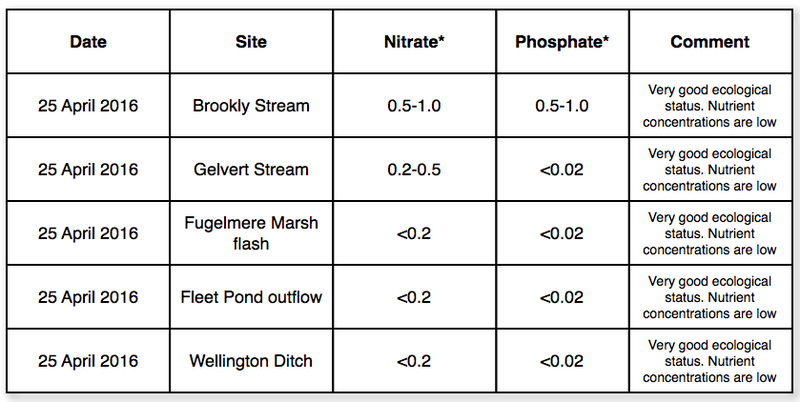 Aside from contributing to the wider FreshWater Watch initiative, data collected in this manner directly compliments regular monitoring carried out by the Centre for Ecology and Hydrology and could help elucidate particularly problematic still and flowing waters (taken from Dr Ian Thornhill’s blog, see here). These values are expected to vary throughout the year as a result of weather patterns and changes in land use. What are nitrates and why are they important? Nitrate (NO3) is a form of nitrogen that is highly soluble in water. It is used in fertilisers and can move readily with surface runoff into rivers. Studies indicate that more than half of the nitrate fertilisers applied to fields can end up accumulating in the soil or running off into surface water and ground water. Other sources of excess nitrates can be traced to human wastes and industrial pollution. Algae and other plants use nitrates as a source of food and elevated concentrations can create conditions that make it difficult for aquatic fauna, including fish and invertebrates, to survive. This occurs when large amounts of algae cause extreme fluctuations in dissolved oxygen. Photosynthesis by algae and other plants can generate oxygen during the day. However, at night, dissolved oxygen may decrease to dangerously low levels as a result of oxygen consuming bacteria feeding on dead or decaying algae and other plants. Phosphates (PO4) can enter aquatic environments from the natural weathering of rocks, from the decomposition of plants, or from human activity such as fertilizer runoff and improperly treated waste-water. 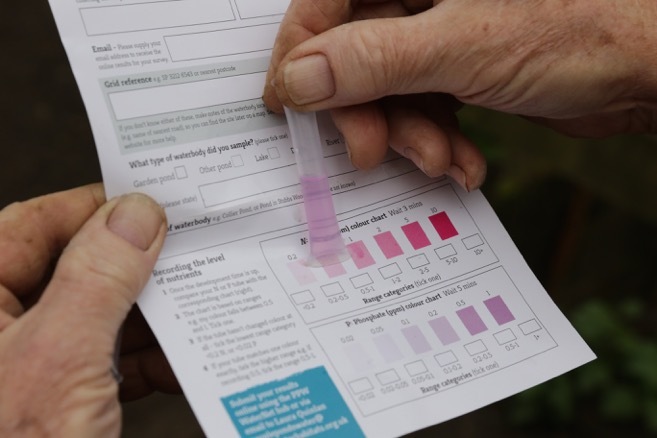 Phosphorus is an essential element for plant life, but in high concentrations favours the excessive growth of algae, with negative impacts on the fish and the health of our rivers and lakes. Ed. 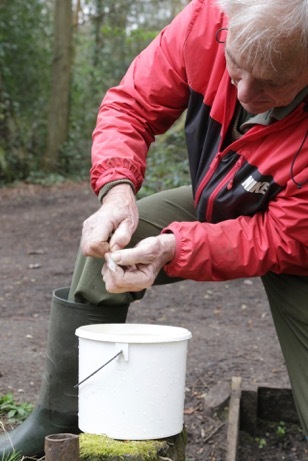 Many thanks to John for setting up the project and for providing the illuminating article. You can see his current work here (including some nature photography). Members of the Wates Developments team plus Hart Rangers, together with the product of their efforts! 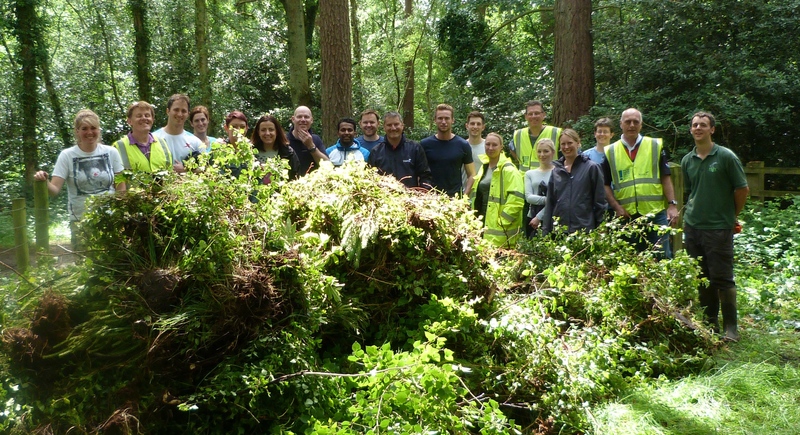 “As part of Wates Group’s annual community day, a 19 strong team from Wates Developments has spent the day clearing unwanted saplings and weeds from an area of heathland at Fleet Pond. 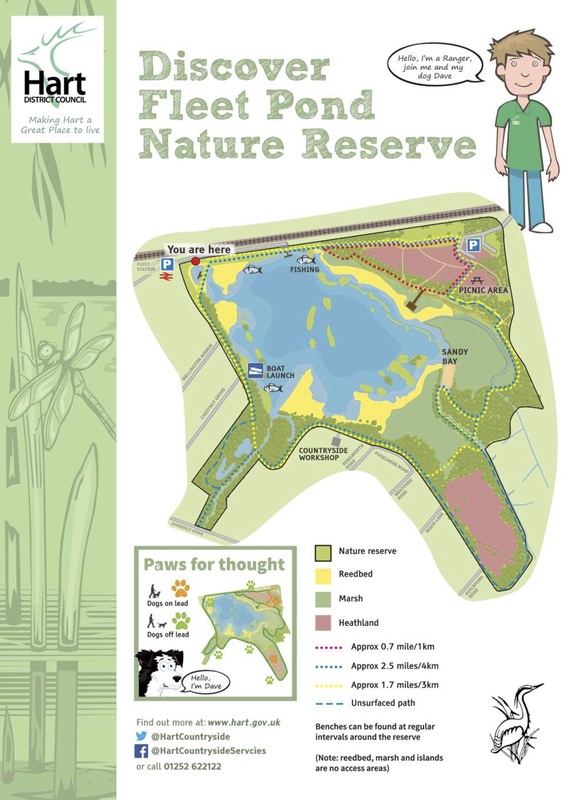 The 141 acre nature reserve is owned by Hart District Council and is managed in partnership between Hart Countryside Service and Fleet Pond Society, a registered charity. In addition to the full day of weeding, the charity will also benefit from a £500 donation made by Wates. 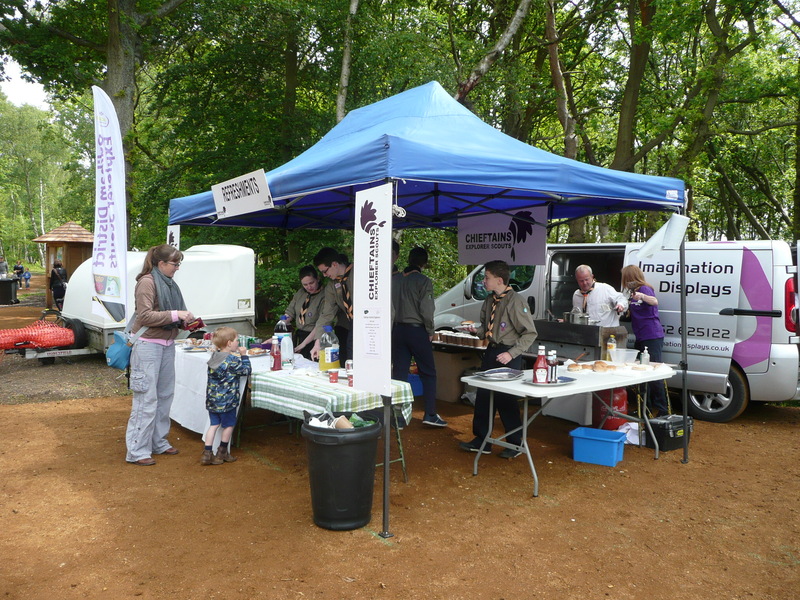 The community day is an integral part of Wates Groups annual charity work and a key fixture in the company’s diary since 2008. Wates Giving is a charitable programme run and funded by the Wates Family Enterprise Trust, set up by the family with the aim of strengthening the role business has to play in society, focused on making a real difference to the communities in which we live, work and build. Fleet Pond Society is very grateful to Wates Developments for providing the large volunteer team as well as the very generous donation. You can find more information on the different walks you can take around the Pond here. “On Sunday we will be doing some more repairs to the banks of the Gelvert Stream. Please assemble at the Countryside Workshop, Old Pump House Close, Fleet, GU51 3DN at 9.00 a.m. for a 9.15 start. The nearest access point, if you do not come to the workshop, is Guildford Road. 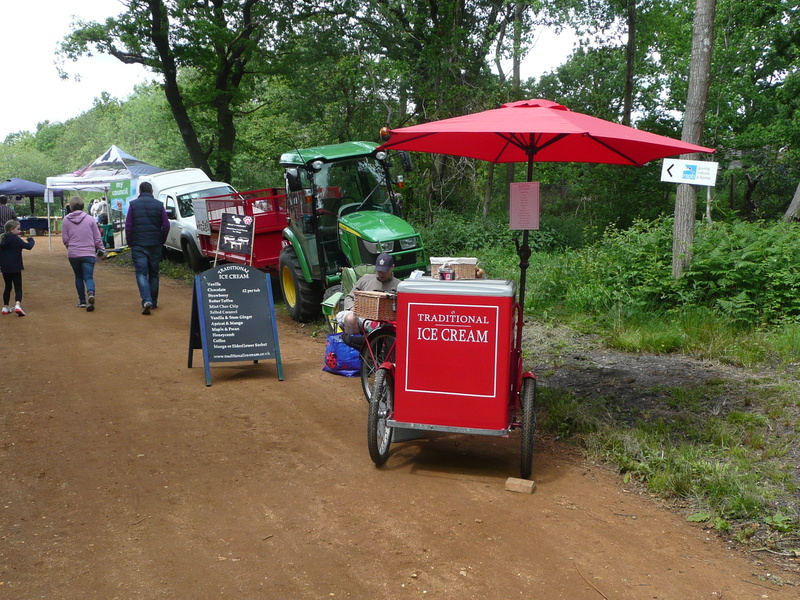 As usual we will have tea, coffee and chocolate available but please bring your own cold drink. Some volunteers will need wellies and others can work from the bankside. Fleet and Crookham Local History Group is 30 years old, having been set up in 1986 following a wish from within the Fleet and Crookham Civic Society to have a museum in Hart. The archive catalogue lists more than 8,800 items and the scans of material donated or loaned now numbers more than 58,000. The group is now looking for a secure room in which to store archive material, with additional space for volunteers to work on cataloguing and scanning, and to carry out research and answer enquiries. 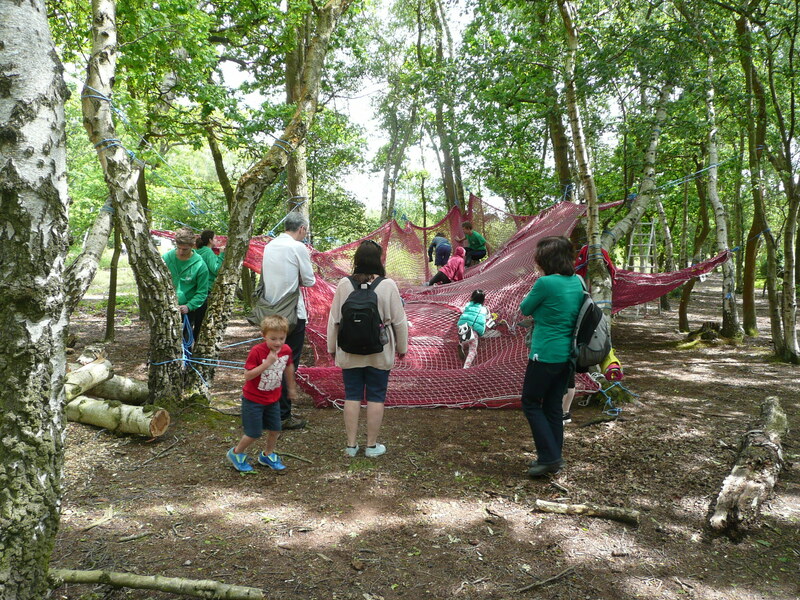 In 2007, the group was given a National Lottery award of £3,880 to increase public access. This included purchase of display stands and providing copies of local history material, such as directories, census returns and topics relating to businesses, sport and graveyard memorials, in a set of red binders on open shelves in Fleet Library. To widen contact with the public, the group invites enquiries and offers of information at its Meet the Local History Detectives sessions, held in Fleet Library. The History Group’s web site can be found here. 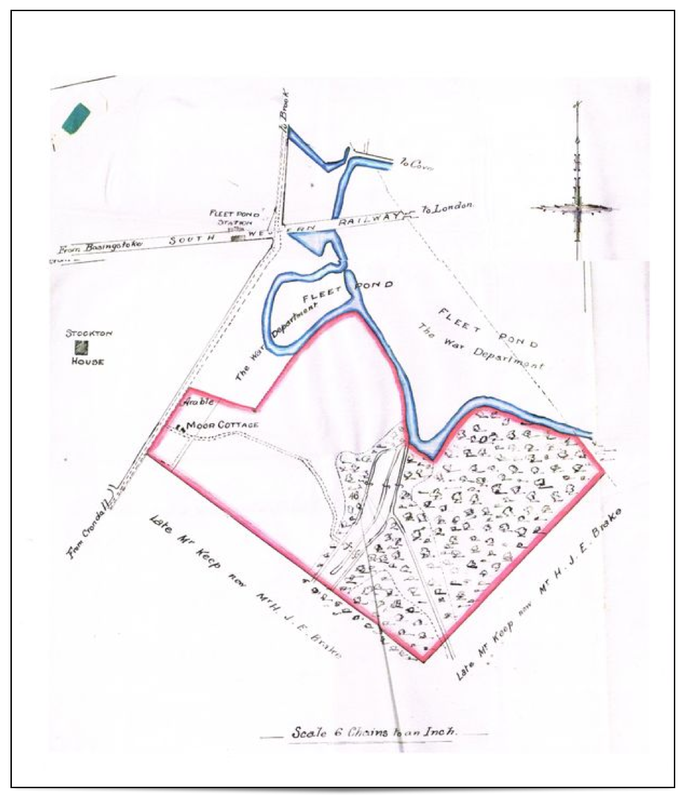 You can find detailed information on the history of Fleet Pond on the FPS website here. Please see the poster here that gives full details (how to get to the event etc). 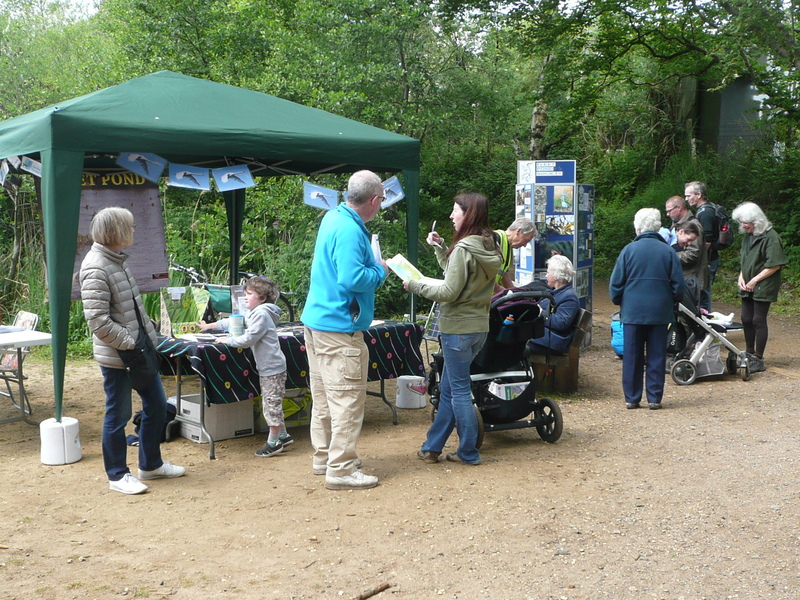 Previous Wildlife Days have proven very popular and to get a flavour, take a look at the photos below, which were taken at last year’s event. Looking at fish taken from the Pond – some surprisingly big ones! You are currently browsing the Fleet Pond Blog blog archives for June, 2016.